Are you looking for a more high throughput screening assay to risk assess chemicals, compounds, novel drugs and biologics? Are you seeking an autologus human skin equivalent model? Are you looking for a speedier timeline to hazard identification? Alcyomics have developed an in vitro 3D autologous skin equivalent model as a testing platform which is representative of normal human skin tissue. Skimune®3D is a full-thickness 3D human skin equivalent model containing dermal fibroblasts and epidermal keratinocytes from the same healthy donor tissue providing an autologous system for the safety testing of drugs, chemicals and cosmetics as an alternative to animal models. We have also developed this model to identify toxicological endpoints such as dose toxicity, cell viability, apoptosis and necrosis and the effects of test compounds or drugs on cytokines, growth factors and chemokine levels. 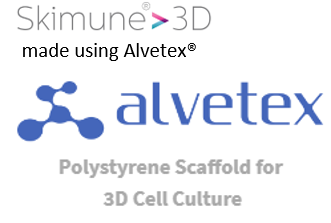 Skimune®3D is made using ReproCELL Europe’s highly porous polystyrene scaffold for 3D cell culture (Alvetex®). Cells grown in Alvetex® possess a natural tissue-like structure allowing them to behave more physiologically relevant. Cells are able to maintain their in vivo morphology, behaviour and responsiveness within the Skimune®3D in vitro system. Figure 1: Skimune®3D is an in vitro model representative of normal human skin tissue. Histopathological comparison of normal skin with the full-thickness 3D autologous human skin equivalent model (A.) and immunofluorescence for involucrin, loricrin and keratin XIV (protein markers of epidermal differentiation) and collagen III (B.). These results demonstrate that Skimune®3D is representative of normal human tissue. Solves the problem of the ban on animal testing for cosmeceuticals – 7th Amendment to the Cosmetics Directive (EU Directive 76/768/EEC2), March 2009/2013. Alcyomics have developed a novel 3D epidermal human skin equivalent model consisting of primary human keratinocytes as a testing platform for the assessment of chemicals, formulations and cosmetics for skin irritation and corrosion. 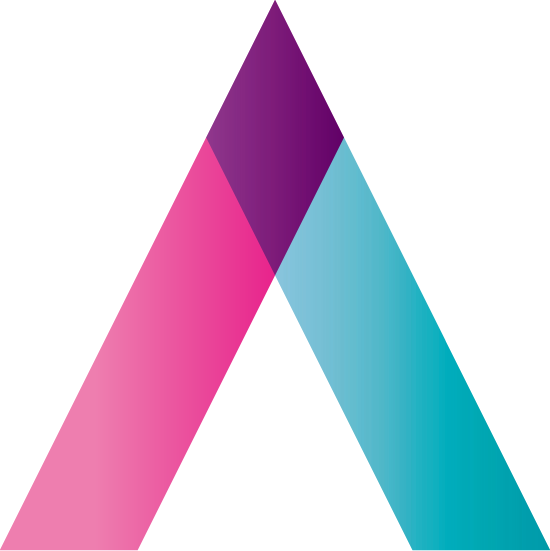 Skimune®3D Epi is a reconstructed human epidermis model and offers end users an alternative to animal tests as the platform is fully humanised and cultured using a tissue culture scaffold as opposed to animal-based collagen material. Skimune®3D Epi is made using ReproCELL Europe’s Alvetex® Strata, containing smaller pore sizes than normal Alvetex® optimal for the growth and differentiation of epidermal keratinocytes in 3D culture. Figure 2: Skimune®3D Epi is an in vitro model representative of normal human epidermis. 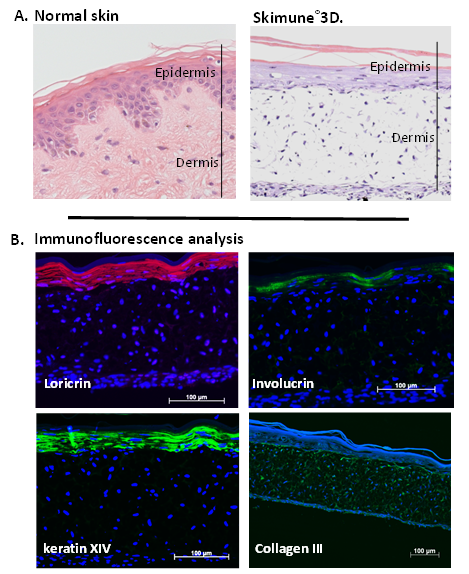 Histopathological comparison of normal skin with the 3D human epidermal skin equivalent model (A.) and immunofluorescence for involucrin and keratin XIV (protein markers of epidermal differentiation) (B.). 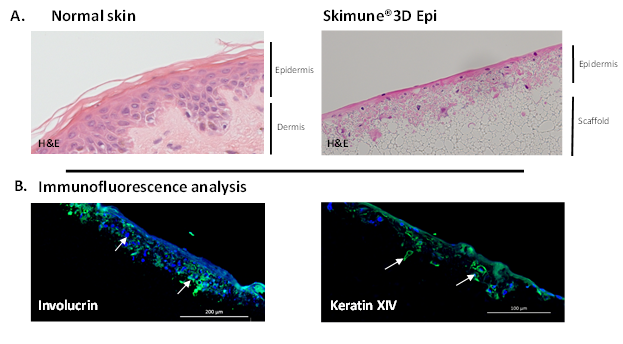 These results demonstrate that Skimune®3D Epi is representative of normal human epidermal tissue.